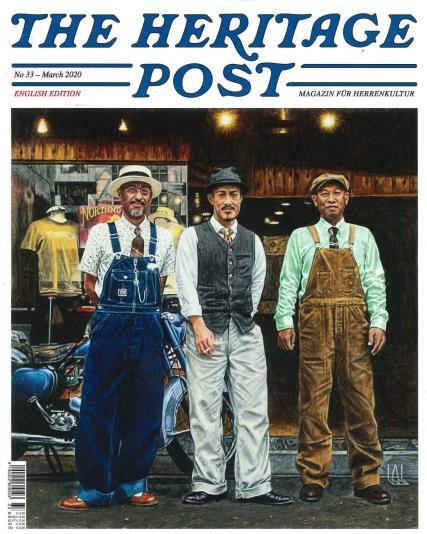 Heritage Post magazine is an unconventional gentleman's magazine that is created with plenty of enthusiasm and consistent devotion. This isn’t the magazine you buy if you want to keep on top of the latest trends instead, it covers brands and products that you may not even know. The main goal of the magazine is to present you a consistent and maintainable lifestyle that can spread through all areas of your life. Buy a single copy or subscription to Heritage Post magazine. You will be shown the most extraordinary items and new products. More importantly, you will be intrigued by items that have been almost forgotten. The message that Heritage Post wants you to know is that you don’t need to follow the crowd, as you can be original. The Heritage Post takes an in-depth look into vintage products, that seems to grow more impressive as they age over time. This magazine is very unconventional, as you can tell it’s not your ordinary men's magazine. This is a lifestyle magazine for the gentleman, that does not follow trends. The aim of the magazine is to present you with products that you never going to see in a conventional men’s magazine.